24/11/09 – Acquisitions – British museums – We publish acquisitions through the Acceptance in lieu, for British museums on a regular basis. This process allows tax deductions for estates involving art works. Since our last news item covering the years 2006/2007, two reports have appeared corresponding to 2007/2008 and 2008/2009. The following concerns the first, leaving the more recent acquisitions for an upcoming article. At times, Acceptance in lieu allows certain works belonging to private castles open to the public to remain on location. In 2006, a painting by Lucas Carlevarijs held at Kiplin Hall, although temporarily banned for export, had finally left the United Kingdom (see news item, in French, of 15/5/06). Thanks to Acceptance in lieu, no less than twelve paintings, including another view by Carlevarijs representing The Piazza San Marco during a Carnival  (ill. 1), will remain permanently in this castle now transformed into a museum. These are a Portrait of Christopher Crowe (who commissioned the Carlevaijs works) by Francesco Trevisani, a Portrait of James I by John de Critz (before 1552-1642), a Peasant Couple with a Fowl and Farm Products by Joachim Beucekelaer (around 1534-1574) and several portraits by David Allan, William Beechey, Francis Cotes and George Frederick Watts. This type of arrangement, which we would like to see happen in France, also made it possible to keep a beautiful portrait by Philip Alexis de Laszlo (ill. 2), along with the entire library, at Sissinghurst Castle in Kent with gardens owned by the National Trust. 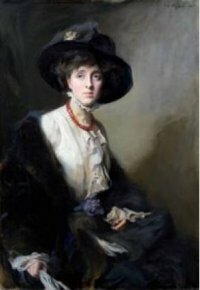 Several paintings and drawings from Kerrison Preston’s Victorian art collection have been assigned to the Ashmolean Museum in Oxford. 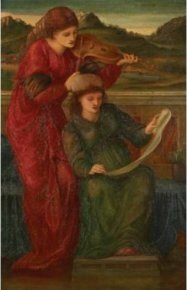 Besides an oil on cardboard by George Frederick Watts (The Ideal, 29.5 x 21.5 cm. 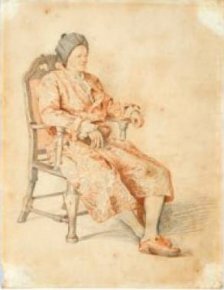 ), a Portrait of Sara Bernhardt in watercolours by W. Graham Robertson (1866-1948) and a drawing by Augustus John (1878-1961), A Group of Figures in a Landscape (50 x 37 cm.) 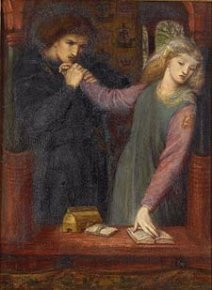 for which we do not have a photograph, special notice goes to a watercolour by Dante Gabriel Rossetti representing Hamlet and Ophelia (ill. 3) and a painting by Edward Burne-Jones (ill. 4), an allegory of Music. The latter works, although of different technique and size, seem extremely similar, revealing the stylistic resemblance of the two Pre-Raphaelite artists. 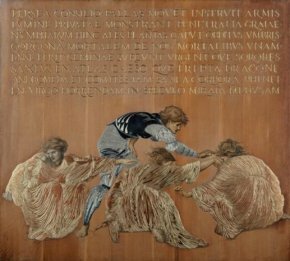 Another Burne-Jones, truly exceptional, has joined the National Museum Wales in Cardiff, Perseus and the Graiae (ill. 5). The technique is unusual and complex : a plaster relief covers an oak panel which is engraved and painted in oil, and also contains bronze, silver and gold. In 1875, Burne-Jones started a cycle devoted to Perseus for the future Prime Minister, Arthur Belfour. This set was to present four panels like this one and six paintings. The ten compositions are known thanks to cartoons of final production size in gouache and watercolours, today held at the City Art Gallery in Southampton. Only Perseus and the Graeae was finally executed in relief, four paintings were also completed and two remained unfinished. These paintings now belong to the Staatsgallerie in Stuttgart. The iconography of the work acquired by Cardiff is not a common one. In it Perseus is seen holding the three Graeae’s only eye in his hand so as to force them to tell him where he could find their sisters, the Gorgons. This was supposed to be the central composition of the cycle with a summary of the legend inscribed above the work in gold Latin words. 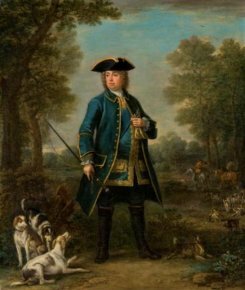 The Norfolk Museum has received a Portrait of John Carter (ill. 6), mayor of Yarmouth, painted by an anonymous English artist of the 17th century and which will be placed on deposit in Yarmouth, at Elizabethan House, Carter’s former residence. 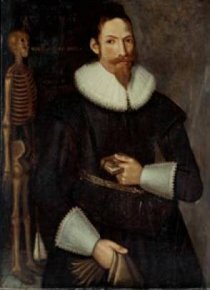 The discrete presence (seen only after close observation) of a skeleton to the left of the painting as well as the inscription Remember thy ende transforms this modest portrait, with a vague Van Dyck influence into a Vanitas. Strangely, the model was only 31 when he sat for the portrait (the work is dated 1627) and died in 1667 at the age of 72. English portraits are acquired regularly thanks to Acceptance in lieu. 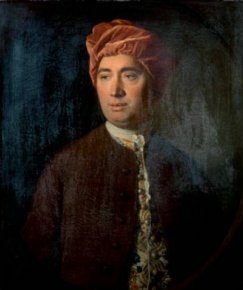 Allan Ramsay painted David Hume, the Scottish philosopher and historian. This painting (ill. 7) has joined the Scottish National Portrait Gallery in Edinburgh. It dates from 1754, the year both men helped to found the Select Society, an association of scholars. 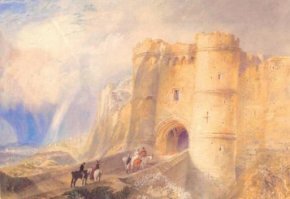 Three paintings and a drawing, with the same provenance, have joined the Norwich Castle Museum. 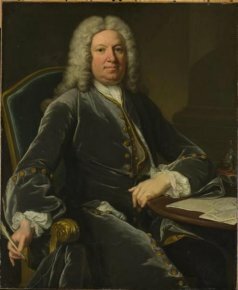 These are a Portrait of Robert Walpole, member of Parliament and British Prime Minister, by John Wooton and Jonathan Richardson (ill. 8), the first of four known replicas ; a portrait of Horace Walple, Robert’s son, by the French painter Jean-Baptiste Van Loo (ill. 9) ; another portrait, presumed to be only, of Horace Walpole, painted by Pompeo Batoni (ill. 10) ; and, finally, a drawing by Etienne Liotard (ill. 11) representing Sir Everard Fawkener, Ambassador to Constantinople. 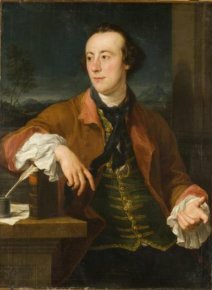 An object associated with Horace Walpole was also acquired through Acceptance in lieu. This is a neo-gothic mirror (ill. 12) designed by Walpole himself and executed by William Hallet. It was one of a pair originally located in the dining room of Walpole’s castle, Strawberry Hill, in Twickenham. The monument, currently being restored, will be open to the public in 2010 and the mirror probably placed there on deposit. Two watercolours by Turner have entered British public collections. 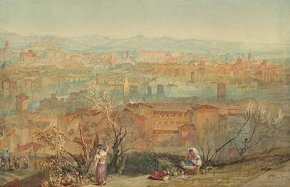 The first (ill. 13), Rome from San Pietro in Montorio, has been assigned to the Courtauld Gallery in London ; the second (ill. 14), Carisbrooke Castle, Isle of Wight, to Carisbrooke Castle Museum housed in the castle represented by the artist. 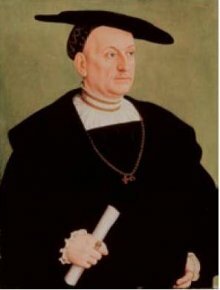 The Fitzwilliam Museum in Cambridge has acquired two 16th century German portraits by Bartel Beham (ill. 15 and 16). No doubt a student of Dürer, the artist is known as a painter as well as engraver. 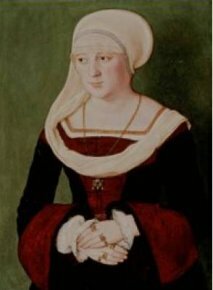 Both works represent Onophrius Scheit, who was chamberlain to Duke Louis X of Bavaria and his first wife. We will close our article with two old masters assigned to the National Gallery of Scotland. These are a fragment of a painting by Hans Memling originally representing an Ecce Homo (ill. 17) and a wash by Giovanni Battista Tiepolo (ill. 18), the first drawing by this artist to enter the museum. 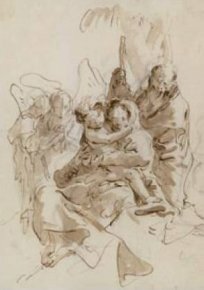 This Holy Family is not preparatory to any painting or fresco but, rather, is part of a series of about 70 drawings illustrating this theme  . This painting and the one exported in 2006 were part of a series of four works, two of which had already been sold in 1971. In order to provide a full listing, we would like to point out that works falling outside The Art Tribune’s time period, as well as some furniture pieces and art objects were also acquired through Acceptance in lieu. Further information can be obtained by reading the 2007/2008 report.